At your last team meeting, you discussed several topics at length, made some important decisions and inched several projects forward. It is now time to stop the clock, chill out and fully disconnect, with or without your collegues. Here are 5 great ways to make sure this does happen! Many spas and health centres are open year-round at Tremblant. Between work and personal obligations, there is very little time and energy left for you to take care of… you. Especially after a very demanding work meeting, you sometimes needs a true relaxation session. A visit to the spa or the Scandinavian baths is the place to start and is, without a doubt, the absolute best way to start shedding stress. Soak in the calm and serene atmosphere and let your worries completely wash away. While there, why not indulge with a Swedish massage or a hot stone treatment, for example? A luxurious treat that will soothe your body and let your soul slumber in peace, come nighttime. 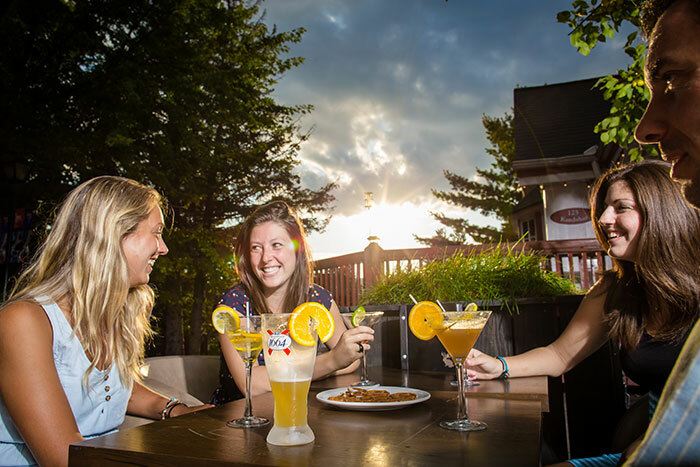 Tremblant’s pedestrian village offers more than 40 cafés, bars and restaurants to help you decompress as you share a few happy hours with your colleagues. Hours of lively discussions, however productive and constructive they may be, can be incredibly draining. Why not make the most of this occasion, skip cooking dinner and instead share a meal and a few drinks with your colleagues in one of our nice restaurants? Replace work conversations with more personal ones, learning a little more about those people with whom you spend all of your work days! You can keep the night going in one of the many trendy bars, in a truly Quebecois microbrewery, or even with a visit to the Casino. There are so many options available to you for a wonderful night of relaxing fun with your colleagues! 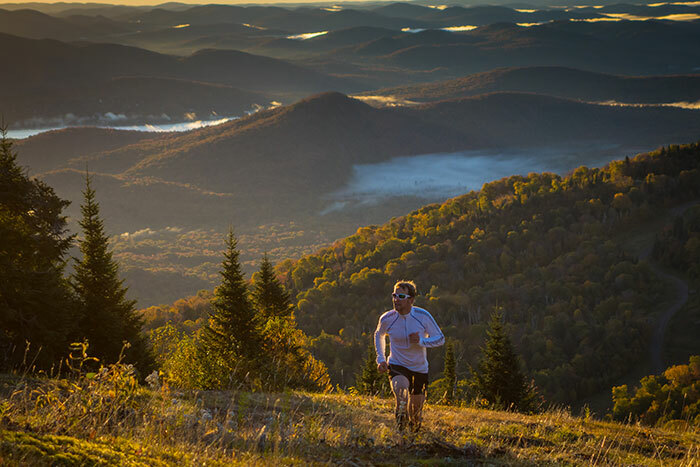 In Tremblant, every reason is a good reason to climb up the mountain. And the view is always incredible! It is a well-known fact that one of the best ways to shed stress is through physical activity. There is no better (natural) way to release tensions than an intense workout, helping to focus both mind and spirit on healthy living instead of on the deadlines discussed in meetings! To get active, all activities are great options. On your own or with some colleagues, you can play a round of golf, kayak on Lac Tremblant, hike in the woods, or in winter, go for a few ski runs. However you choose to be active, the point is to move and to enjoy it thoroughly as you do it. 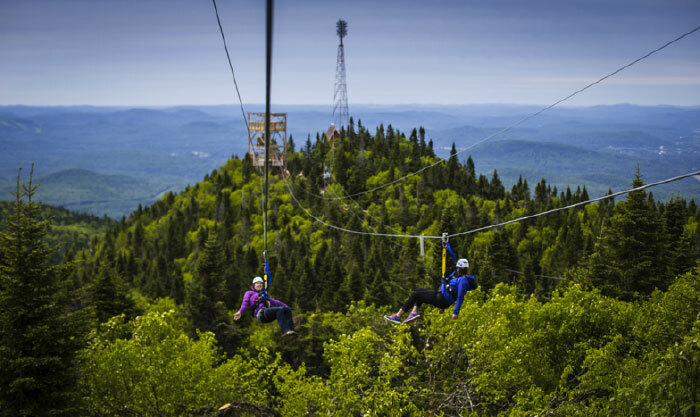 Challenge your colleagues to try Tremblant’s Ziptrek, a series of 5 ziplines that will send you soaring through a range of emotions. Test your limits and try something new! Creative and, sometimes, extreme activities can take you out of your daily routine and push your boundaries. Stir up your team’s competitive spirit and challenge your teammates to try karting, luging in the mountain, or ziplining high above the treetops, especially in fall as leaves turn and showcase their most beautiful colours. Any activity that forces you to step out of your comfort zone helps you clear your mind and prepares you to return to work the next day, fully refreshed and available. 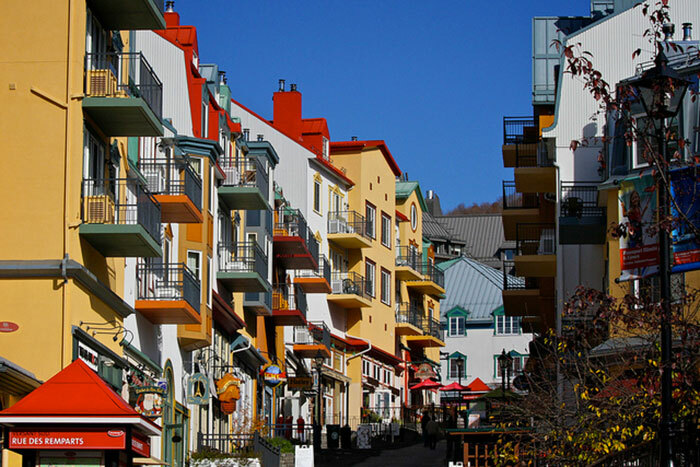 Tremblant’s pedestrian village counts more than 80 shops and boutiques, perfect for a well-deserved shopping break in between work commitments. Even a few minutes of fresh air can greatly help reduce stress and take your focus away from your daily concerns. If you, however, have more than a few minutes available, maybe a little shopping spree will do the trick. Make the most of the sunny weather and visit the outdoor shopping spots such as the pedestrian village, which overflows with local and unique products. Take some time to grab a coffee or stop for a bite in one of the many cafés and sweets shops. After all, you deserve it! There is no shortage of options to help you completely disconnect. You only need to give yourself the time and the permission to do so. Your whole team’s spirit can only be improved and strenghtened by it, once back in the office. You can reach Josiane Martineau at jmartineau@avtremblant.com at anytime to assist you with planning your next team meeting at Tremblant. 9 ways to enjoy a rainy day!